Assessment is one of the most important social care tasks. There are many different types, from pre-birth to carers’, and it often signals the beginning of a social worker or occupational therapist’s involvement with a person. For social workers in adult services, assessment of a person’s care and support needs is vital. It determines whether they are deemed eligible for local authority services. 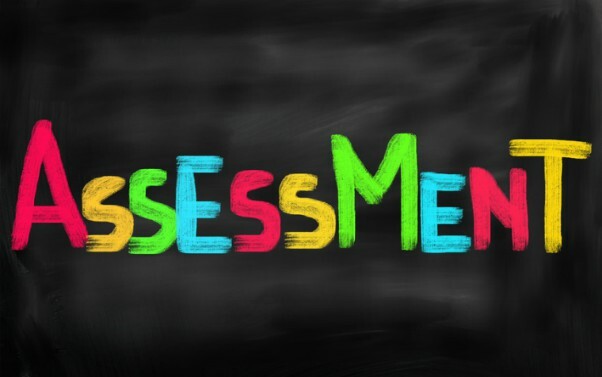 In a climate of cuts and scarce resources this can make assessment seem like a tick-box exercise, rather than a chance to work collaboratively with the person, get to know them and help them achieve their goals and improve their wellbeing. The Care Act 2014 has attempted to reframe assessment, calling it a “a critical intervention in its own right” (Department of Health, 2016, paragraph 6.2). And there is increasing interest in ‘strengths-based’ approaches to assessment – where the focus is not on what the person can’t do, but on where their strengths lie and the supports they have around them in their family and the community. In an in-depth piece for Community Care Inform Adults, academic Elaine Aspinwall-Roberts provides a comprehensive guide to carrying out person-centred, strengths-based assessments. Below is an excerpt from the piece about different ways to ask questions in assessment. Inform Adults subscribers can read the full guide. On paper, assessments may follow a very rigid questioning format. But how you ask those questions is your choice. Be bold about reframing and rethinking questions in ways that help individuals define the problem themselves and decide how big a problem it is, but avoid intrusion into areas that they don’t see as a problem (Richards, 2000, p43). Thinking about what you would ask someone if you only had five questions to ask as you began working with them (Saleebey, 2012). Thinking about how you would like your questions to be phrased if they were directed at your loved ones. Thinking about phrasing. Bolger’s study (2014, p429) found that questions phrased ‘do you struggle with?’ or ‘how do you manage?’ invite a statement of need from the service user, while those phrased ‘you manage okay?’ suggest there is no need to be met. Pritchard (2007, p148) suggests that in interviewing people in safeguarding investigations you should try to avoid the word ‘why’ to start a question, and instead use ‘how’, ‘who’, ‘what’, ‘when’, or ‘where’, as these are less accusatory. She also suggests that framing questions with words like ‘tell me’, ‘explain’, and ‘describe’ is good policy in many assessment situations, not just safeguarding. What is the most useful question I can ask right now? What don’t I know that would make a difference if I did? What question will get me closer to my outcome? Do I need to ask a question at all?